Now, you may be wondering ‘Why take a day tour?’ Just like any regular tours, a day tour can provide a comprehensive arrangement of activities, so you do not have to wander around clueless to where to go or what to do. By taking a day tour, or a tour in general, you will not risk missing out on all the prominent attractions. Especially in the company of a local and, preferably, English-fluent guide, your experience can be enhanced many folds. Most tours now come with air-conditioned transportation, so there is no need for tracing your route on a complicated map or bargaining with drivers. What is better still is that your guide will let you in on things known exclusively by locals and help you uncover all the hidden gems. One more thing that makes day tours all the more enticing is that your journey will only be a day long. Therefore, if you are pressed for time, this is the perfect option for you. After that you can spend your time exploring to your heart’s content. With all said, here are 7 interesting day tours that you must try in Siem Reap. Cambodia is a country modest in size yet rich in culture. 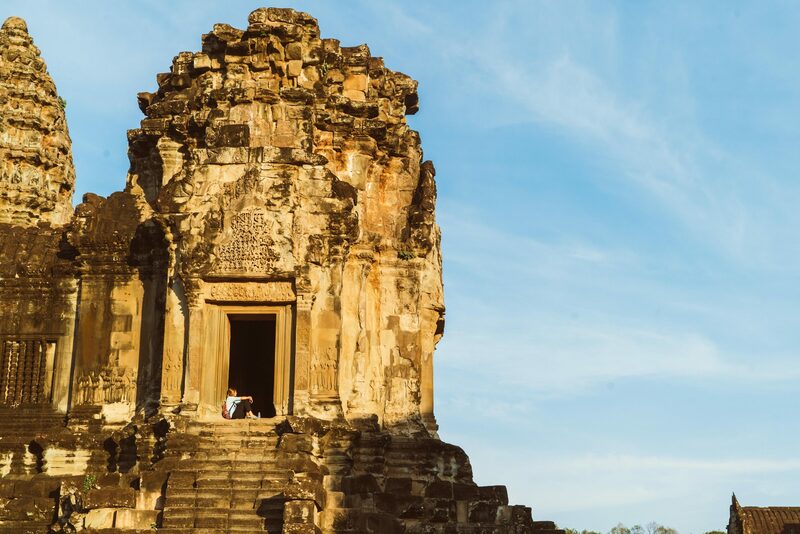 Due to renewed global interests, the country has received an increased influx of tourists as of late, triggering the consequential growth of one of its now major cities, Siem Reap. Discover top amazing things to do in Siem Reap with a local expert now! 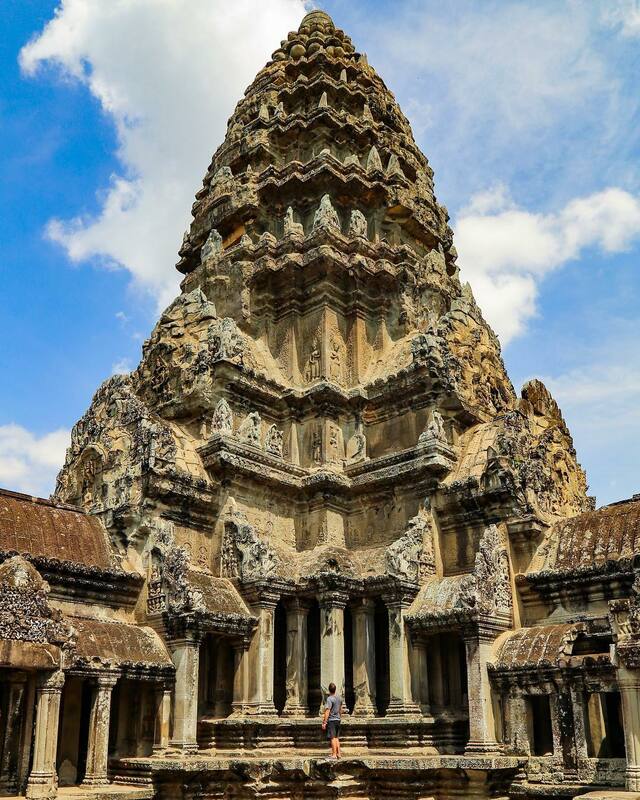 Let Inspitrip help you plan the best trip to the ancient Khmer Empire! Siem Reap is the capital city of Siem Reap province and is located in the Northwestern region of Cambodia. The name can be translated into “Defeat of Siam”, which most take as a reference to the centuries-old rivalry between the Siamese and the Khmer Empire. In actuality, the likelihood of this origin being true is rather slim. What is certain is that, during the period between the 16th to 19th century, Cambodia was overpowered by its two neighboring countries, Vietnam and Siam. Siem Reap, at the time of Angkor’s rediscovery by the French explorer and naturalist Henri Mouhot in 19th century, was just a bit more than a village. As a result of its merging as a part of French Indochina in 1907, succeeded by the Franco-Siamese treaty, Siem Reap began to develop. With the establishment of the Grand Hotel d’Angkor in 1932, the temples of Angkor rose to the status as one of Asia’s top attractions. Siem Reap’s ongoing stride was only interrupted when the civil war broke out in the late 1960s. In 1975, under the threat of Khmer Rouge regime, people started to relocate to the countryside of Cambodia. It was not until 1998, which saw the demise of Pol Pot, that stability was restored and the process of rejuvenation took place in Cambodia. Siem Reap now takes on the role as a gateway to the famed Angkor temples, which are now an essential part of Angkor Archaeological Park. In recent years, the city has been ranked as one of the top ten best destinations. 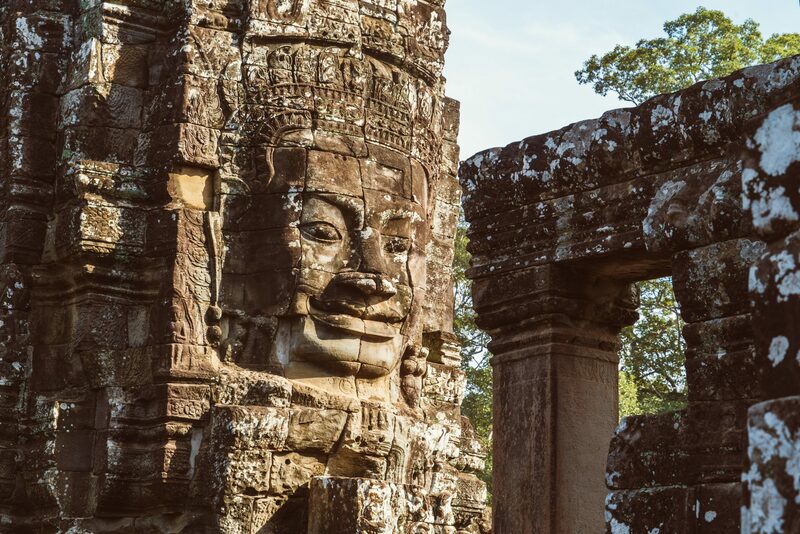 Obviously the main draw in Cambodia, the Angkor temples are always high on the list of must-see attractions. 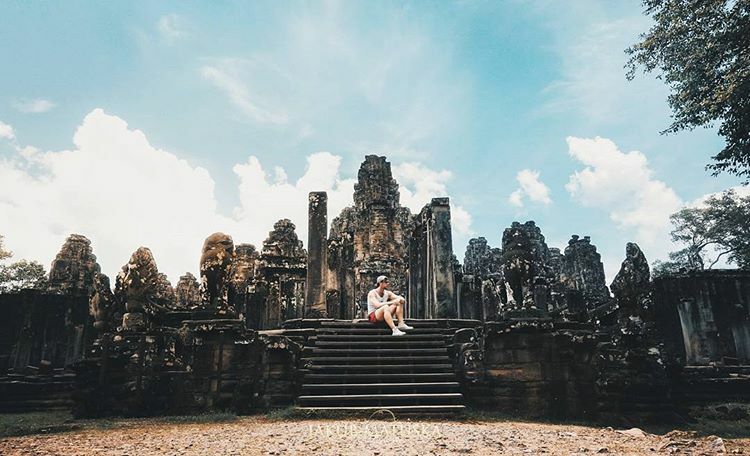 Embark on a day tour and you can expect to see Angkor Wat, the most famous Khmer temple whose sheer scale rivals that of the pyramids; Angkor Thom, the last great capital of the Khmer Empire, and in the heart of which lies Bayon Temple, home to 37 gigantic smiling stone face towers; Ta Prohm, a temple where nature has overtaken to form an amazing ancient utopia; Terrace of the Elephants, upon which once stood King Jayavarman VII watching his victorious army return; Terrace of the Leper King, which houses the Statue of the Leper King. 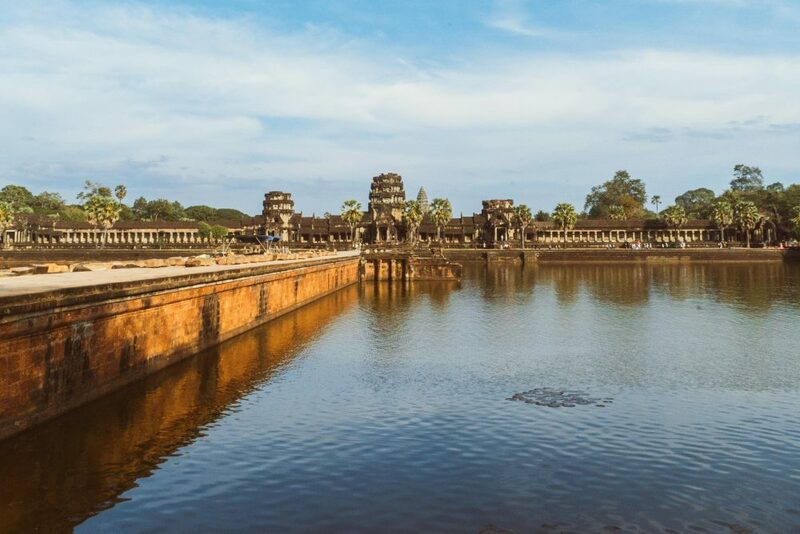 Make sure to check out things you need to know before visiting Angkor Wat for a fulfilling experience. A massive stone face at Bayon Temple. As it is with every day tour, you must set out a bit early in the morning, around 7am and 8am. Your local guide can pick you up at your desired location. After that your excursion will begin. You will get to see all the above-mentioned sites and some additional ones on the way. Depending on your pace and the length of the tour, you should be back at your hotel at around 4pm. AC-equipped vehicles are now an indispensable part of most tours, but you can definitely ask for tuk-tuks, should you like a more immersive experience. Since you will be navigating through the temples on automobiles, this is a great opportunity for children to join in. Water is usually included. However, lunch is at your own expense. So come prepared. Another wonderful thing to do is to marvel at sunrise at Angkor Wat. This day trip is one of the most marvellous things to do in Siem Reap. Phnom Kulen or Phnom Koulen, which translates to ‘mountain of lychees’ is a sacred mountain range situated 30 kilometer North of Angkor Wat and 48 kilometer North of Siem Reap. The Kulen Mountain holds a special place in the hearts of Hindus as well as Buddhists and Cambodians in general. It was at this place that King Jayavarma II declared independence from Java in 804 CE, giving birth to the ancient Khmer Empire. The enchanting waterfall at Phnom Kulen. You will start your journey at 9am at your hotel in Siem Reap, where you are picked up by your local guide and travel to the mountain. The ride is a bit long, about one and a half hours. So you can take your time to admire passing view of Cambodia’s countryside. Upon arriving you can take a closer look at the life of locals and discover the temple grounds. Follow that by making your way to the 1000 Lingas River. 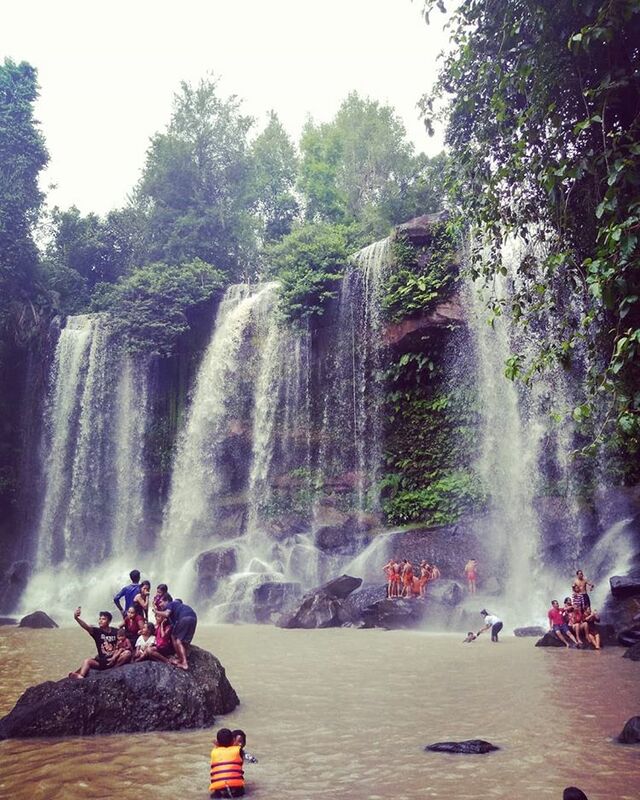 The highlight of this day tour is the 20-meter high waterfall Phnom Kulen. Here you will receive tips on immortalizing breath-taking moments at the site. Remember to bring bathing suit and towels should you fancy a dip. This tour is ideal for families and couple alike as there are an abundant of photo opportunities. This day tour is a rather non-touristy treat for those of you out there who wish to stray away from the tourist trail and have an up-close view of Cambodia. 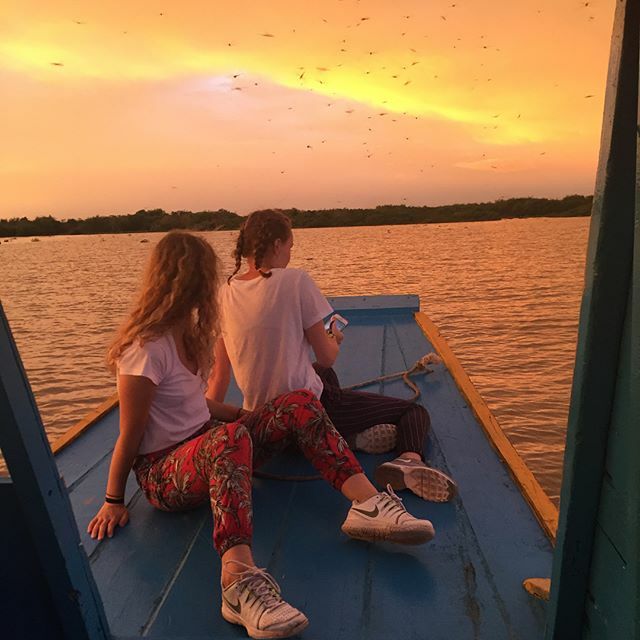 Should you choose this tour, then you can expect to see the natives going about their daily lives, observe the local market, have lunch with local residents and visit the floating village of Kompong Khleang. At 8:30 in the morning, you will depart from your hotel in Siem Reap and make your way to the beautiful countryside where you can cycle along the earthen roads through villages. You can also stop by a fish market on the way. 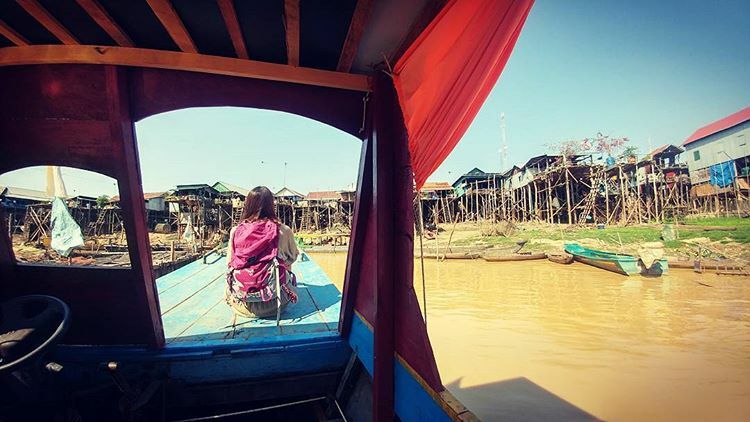 As you continue, your journey will take you to the captivating floating village of Kompong Khleang. At lunch, you will have the chance to visit a stilt house and be invited to share a Khmer meal with locals. Next, you will be taken to the Vietnamese floating village, which is different from the rest of Kompong Khleang. Houses and establishments, such as school or local shops, are suspended on the water thanks to floating objects rather than being composed of stilts. After a day of excitement, your estimated time of arrival at your hotel will be around 5pm. As well established beforehand, Cambodia has no shortage of mesmerizing temples, especially in Siem Reap. This particular day tour is expected to deliver unforgettable experiences at Pre Rup, a Hindu temple dedicated to Shiva and built as a state temple of King Rajendravarman; Banteay Srei or Banteay Srey, a Hindu temple of red sandstone composition also dedicated to Shiva and ‘the jewel of Khmer art’; Preah Khan, a temple North of Angkor Thom, built by King Jayavarman VII in honor of his father. 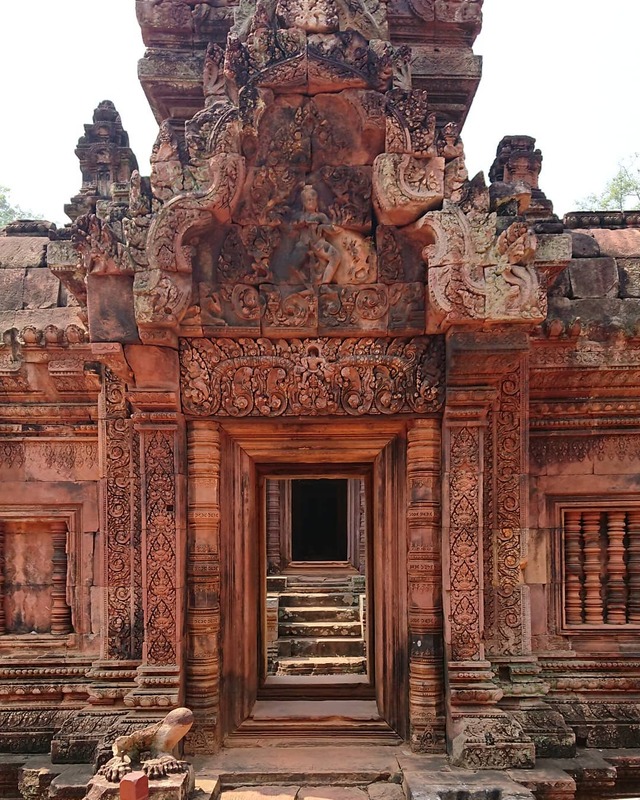 The signature red hue of structures at Banteay Srei. 8am will see your departure at your hotel in Siem Reap, followed by your first stop of the day, Pre Rup. After exploring this awe-inspiring construction of brick, laterite and sandstone, you will make your way to Banteay Srei. There you can admire the most refined architecture in Cambodia. You will also be spending lunch, at one’s own expense, at the temple then move on Preah Khan. Even though under restoration by the World Monument Fund, some sections are in surprisingly good shape. And with Preah Khan, your day tour concludes. However, some detours are also possible. Keep in mind to wear comfortable clothing, with shoulders and knees covered, and shoes, since you will be doing a lot of walking. Koh Ker is an archaeological site located 120 kilometer from Siem Reap and Angkor, in the rural northern region of Cambodia. It was also the temporary capital of the Khmer Empire under the ruling of King jayavarman IV and King Harshavarman II from 928 to 944 AD. 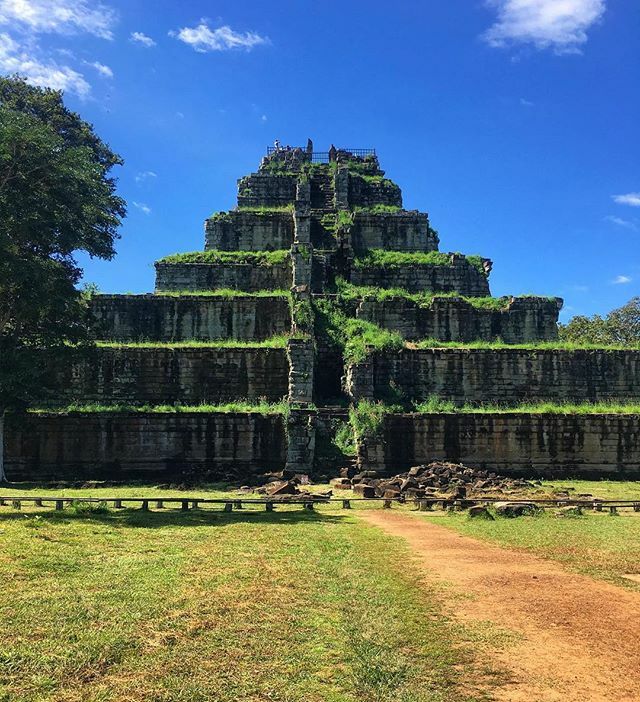 Among the two dozens monument accessible by tourists, Koh Ker is probably most well-known by Prasat Thom, a seven-tiered Aztect-like pyramid in the middle of invading vegetation. Beng Mealea was the burial site of the late King Suryavarman II, located 70 kilometer North East of Siem Reap. Suryavarman II was greatly praised as ‘the King of Victory’ due to his many victorious conquests. Under his reign, the Angkor Empire expanded its territory to today’s Northern border of Lao, the Malaysia peninsula, the Pagan – Myanmar kingdom and only failed at Dai Viet (today’s Vietnam). After his death, much of the knowledge of his reign fell into oblivion. It was not until 1965 that Western explorers actually set foot to the forest to unveil the ruins. In 2003, the government officially set up a trail leading to the site, and light was shed on the mystery that is Beng Mealea. 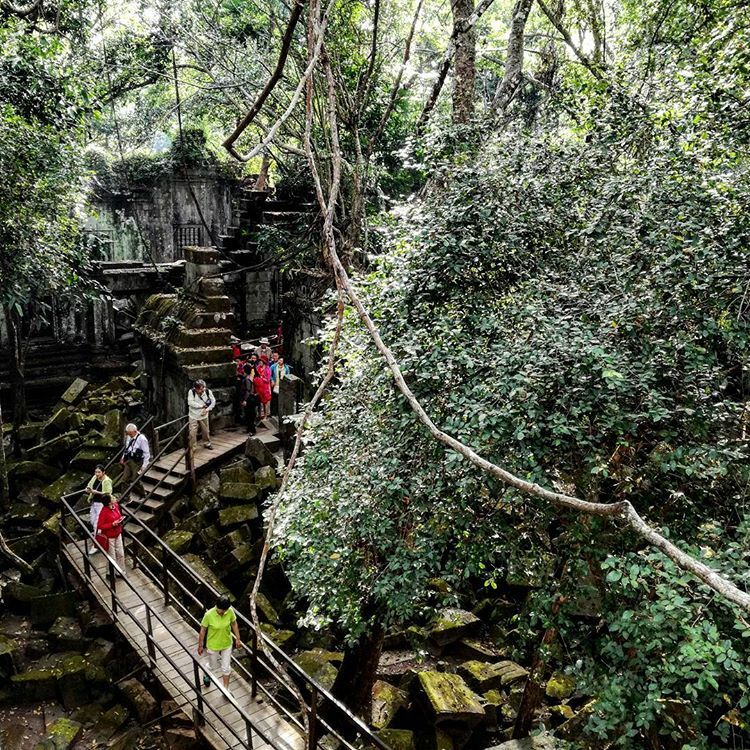 At the start of this tour, you will be picked up at your hotel in Siem Reap and taken through the lush greenery of Cambodia’s countryside to the ancient temple of Beng Mealea. After your exploration of the 11th century ruins garlanded by overgrown jungle, you will sit down and have a nice picnic lunch. Your journey will resume after a one-hour drive northeast of Siem Reap to koh Ker. There you will spend your time viewing the astonishing temples, 30 mysterious major structures and sculptures. After that, you will be chauffeured back to your hotel. This is not quite suitable for kids as two sites are mostly surrounded by forest. Be cautious and stick with your guide in Koh Ker since there are areas not fully defined. This day tour is quite the peculiar with the involvement of kayaks and oxcarts rather than the usual tuk-tuks or boats. With this tour, you’ll be immersing yourself amongst the emerald rice fields, sampling some simple yet tasty local snack, enjoying a lakeside picnic and visiting pagodas. Your morning starts off at 8:30 with a trip to a modest countryside market which promises a chance to try Cambodian treats. Your tour guide will be meeting you at your hotel in Siem Reap, and in no time you will travelling towards your destination. After the visit to the market, you will hop on a kayak and paddle into the lake, which is conservation areas popular for its birds and various wildlife. After about an hour, take a break on a nearby island and continue your animal spotting. Then you will hop back on the kayak and venture to a well-known local picnic spot for you to enjoy the scenery. We will finish the day of with a visit to a local pagoda and be back at your accommodation at 4pm. Tonle Sap, which translates to ‘Great Lake’, is the the biggest body of freshwater in South East Asia and connected to the nation-spanning Mekong River. During the wet season, Tonle Sap is capable of increasing more than twice its original area of 3000 square kilometer. Considered one of the most productive ecosystems, it plays a central role as Cambodian main food supply. On this tour, your included transportation will be waiting for you at your hotel by 7:30 to 8:30 am. Then you will ride for 30 minutes to your point of departure at Chong Khneas village, where you will board a boat cruising along the canals, passing all the floating settlements. After you have navigated through the mangrove and into the great big lake, you will pay a visit to a fish farm and crocodile enclosure. At the end of your aquatic excursion, you will be taken back to your hotel at 11 am.